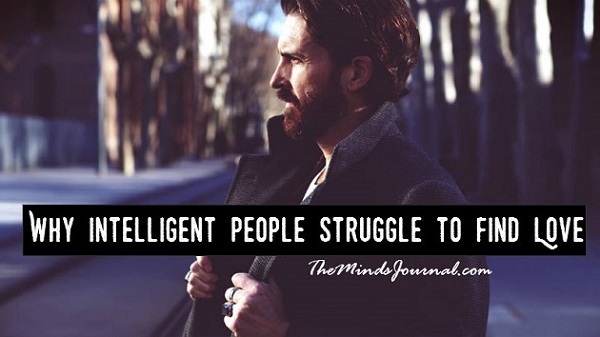 Intelligent people tend to have better foresight. Foresight, in and of itself, is basically just the ability to analyze a situation, recall relevant past experiences, and make an educated assessment of the future possibilities of the situation. Apply that mentality to a relationship and you get situations where smarter people are quicker to duck out of a relationship at the first sign of trouble. If experience is the best teacher, then the smartest people will rely on experience to guide them. Relying on experience to navigate a relationship can be tricky, though. Every relationship has similar situations. What ruined one relationship doesn't always have to ruin another, but for people who rely heavily on their experiences, they can often walk away at the first signs of trouble.